With the NSA wanting to find out what you are using the internet for, there is a wide range of open source and free software available on the internet that helps you to be safe from prying eyes. Tor browser based on my favorite Firefox browser, helps you to surf the internet anonymously. As soon as you install TOR you need to perform an additional step as listed above. It takes a good chunk of five minutes to connect to a server. 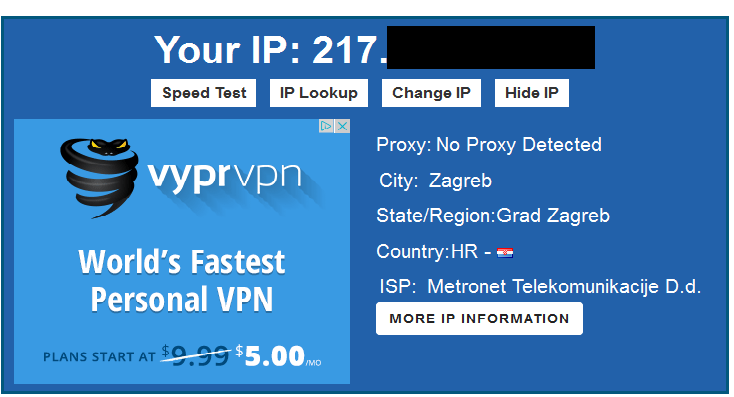 Now after you have successfully connected to a server, your IP address is changed. I am obviously not surfing the net using a PC from Hungary, but I was able to fool Google to display it's Hungarian homepage. How to change IP address using tor Firefox browser?